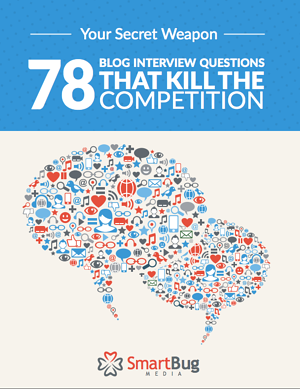 Learn the best 78 blog interview questions to start with today. Blog writing is at the center of inbound marketing and search engine optimization. Interviews can provide some of your most compelling content — but how do you get the right sound bites to make a post? Unleash the power of your blog. Start interviewing today. Download this free e-book by filling out the form.